I was interviewed by Matt McGrath from the BBC last week, as were several other Dutch climate spokespeople (including PBL’s senior scientist Arthur Petersen and skeptical science writer/journalist Marcel Crok). Short parts of these interviews have appeared on the web and on Radio 4 (“The World Tonight”, 26-09). Below I try to provide a bit of context to my quotes. See also this useful figure from Stefan Rahmstorf, underscoring the silliness of drawing all too strong conclusions from 15-year trends. Bart Verheggen is an atmospheric scientist and blogger who supports the mainstream view of global warming. He said that sceptics have discouraged an open scientific debate. “When scientists start to notice that their science is being distorted in public by these people who say they are the champions of the scientific method, that could make mainstream researchers more defensive. The discussion was about to what extent climate science isn’t open/transparent enough, as contrarians routinely claim. Matt also asked to what extent skeptics actually play a positive role in making science more open/transparent and more self-critical. I said ideally they would. People who are critical usually have a good influence that way. But many climate contrarians don’t just stop at raising partly valid criticism, but go on to distort the science. That has the opposite influence, as scientists noticing this behavior become more careful and more defensive, and(have to) think ahead how their words might get twisted by contrarians. So they may become less open and less frank, and more careful in how they chose their words. That is the opposite of what contrarians claim they want to achieve, so it’s quite ironic (though entirely logical) that this is the more likely effect of their behavior. It shows quite a lack of self-awareness on their part that they don’t see how their actions and their behavior affect the dynamics of the public debate. For the worse, in most –though not all- cases. If the valid criticisms wouldn’t be packaged in such conspiratorial/accusative/exaggerated (c/a/e) ways, they would be welcomed much more than they currently are. The art that mainstream scientists and their defenders must learn is to take the valid parts of the criticisms and deal with/respond to them, and leave the c/a/e packaging for what it is. That is increasingly difficult because the critics and their supporters will try to keep the c/a/e in (presumably because this packaging is what is most effective at decreasing the scientists’ credibility and sowing doubt). That dynamic needs to be broken. It needs effort from both sides, as difficult and unfair as it sounds. There is a tendency of ‘circling the wagons’ within the scientific community, in response to the continuous attacks on the science. Attacks that are mostly based on smear and insinuation rather than solid arguments. (…) I think the ’us-versus-them’ feeling amongst many scientists and their supporters is understandable (as a reaction to the contrarian c/a/e attacks on the science), but counterproductive in the long run. We’re going somewhere, and if we don’t like where we’re going, we have to turn that wheel in time. As when you’re on a giant supertanker on the ocean, you can’t say “oh, I’ll wait until I can feel the iceberg with my pinkie and then I’ll turn the wheel”. Then you’re a bit late, so you have to start doing that in time. That’s the other side of the coin. But if you keep banging the drum saying “it’s five to twelve! It’s five to twelve!” doesn’t work either. And that could be counter-effective to engage those who are a bit more skeptical. 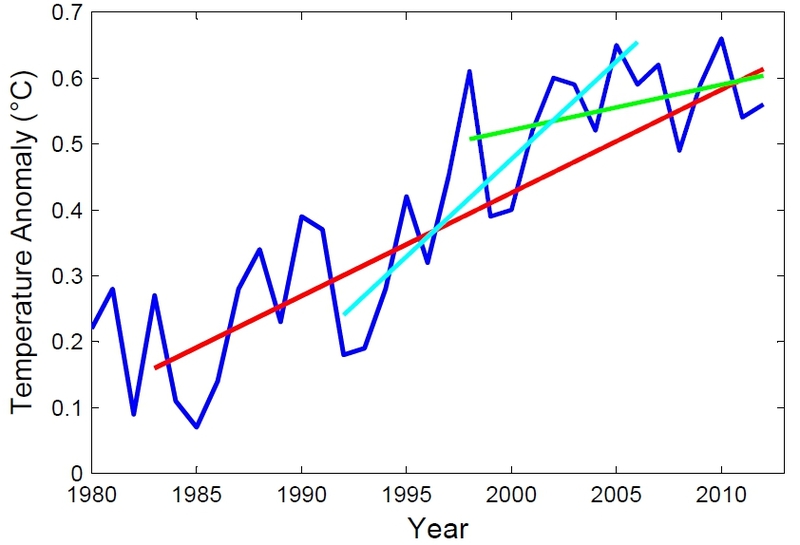 Global warming is a problem in slow-motion, hence the “five to twelve” line is not the most useful one to get people on their feet, because if it remains five to twelve for too long, they will tune you out. That’s what happened in the aftermath of COP15 in Copenhagen for example (where the 5-to-12 line was used a lot, and not much has changed in the years since). 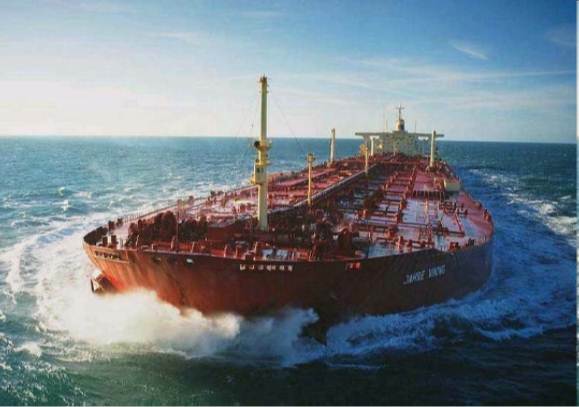 The supertanker analogy is more appropriate I find, since that makes clear that even though the problematic situation that’s on your path isn’t in close proximity yet, it is necessary to change course, if you wish to avoid it.